Our mission is to allow people to protect themselves and the people they love. 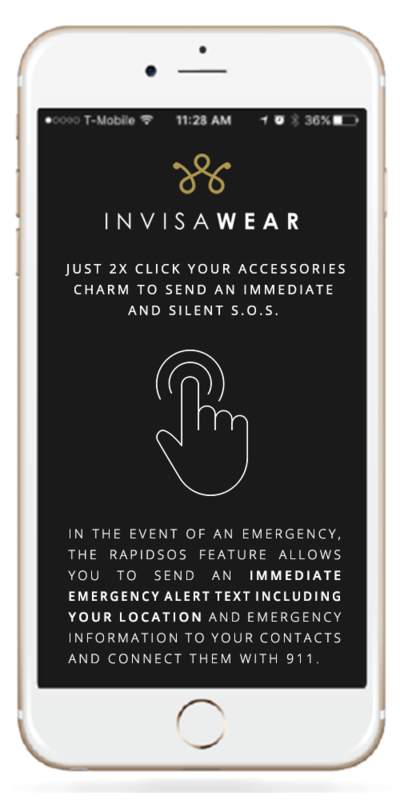 At invisaWear, we aim to positively empower users in feeling safe, secure, and connected. We believe that everyone deserves to feel safe and hope that our products will give users some much needed peace of mind. One night after an event with Ray, Rajia was walking back to her car when a car full of guys rolled down the window and started yelling inappropriate comments, the car stopped and one of the guys started to get out. Luckily, Rajia was able to run and get in her car, unharmed. Though she was now safe, Rajia felt completely helpless. Although her phone was right in her purse, she didn’t have that split second to find her phone and call the police or her friends who were still inside, at the event, less than a block away. Rajia (invisaWear's CEO) and Ray (invisaWear’s CTO) first started working on invisaWear while in college. After exploring safety devices that provide S.O.S solutions, Rajia and Ray felt defeated. The current options were too big and bulky, or displayed a "panic button" feeling. They wanted a stylish, discreet S.O.S device, ideal for everyday wear. Thus, invisaWear was born! Statistics show that nearly 1 in every 5 women is attacked at some point in her lifetime. Sadly, many of these emergencies happen nearby friends/family, but there isn’t enough time to contact loved ones or police. We envision a world that’s safer for everyone and we are hoping to provide users with a hassle-free way to stay connected with their loved ones. If we can even save one life, then all our hard work will have been worth it. 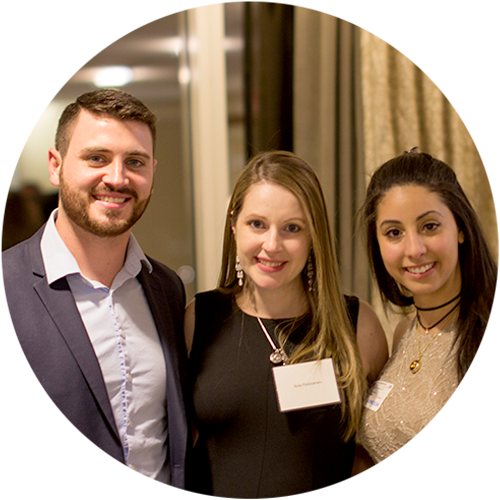 Rajia (invisaWear's CEO) and Ray (invisaWear’s CTO) first started working on invisaWear while in college. After exploring safety devices that provide S.O.S solutions, Rajia and Ray felt defeated. The current options were too big and bulky, or displayed a "panic button" feeling. They wanted a stylish, discreet S.O.S device, ideal for everyday wear. Thus. invisaWear was born! 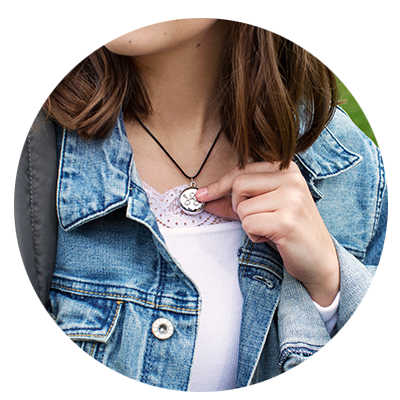 We envision a world that’s safer for everyone and we are hoping to provide users with a hassle-free jewelry that allows them to stay connected with their loved ones. If we can even save one life, then all our hard work will have been worth it. 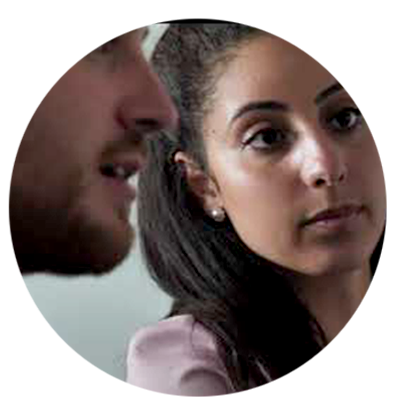 Our mission is to allow people to protect themselves and the people they love. Protecting ourselves and the people we love. 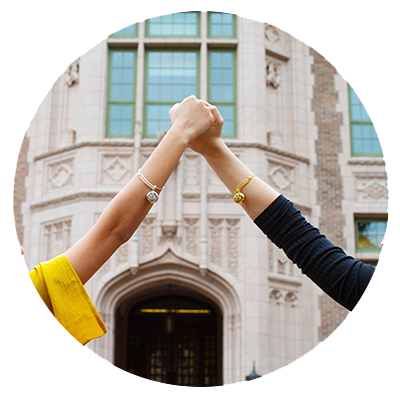 At invisaWear, we aim to positively empower users in feeling safe, secure, and connected by cultivating a safer and more connected world for everyone. Everyone deserves to feel safe, sadly statistics regarding violence are shocking.